Being faithful to God’s Word, appreciate others’ viewpoints even if you do not agree, and using these elements to show solidarity with and accompany others…. In the message, he observed that the worldwide conference on theological ethics taking place in Sarajevo is significant because it is a city of great symbolic value for the journey of reconciliation and peacemaking after the horrors of a recent war that brought so much suffering to the people of that region. 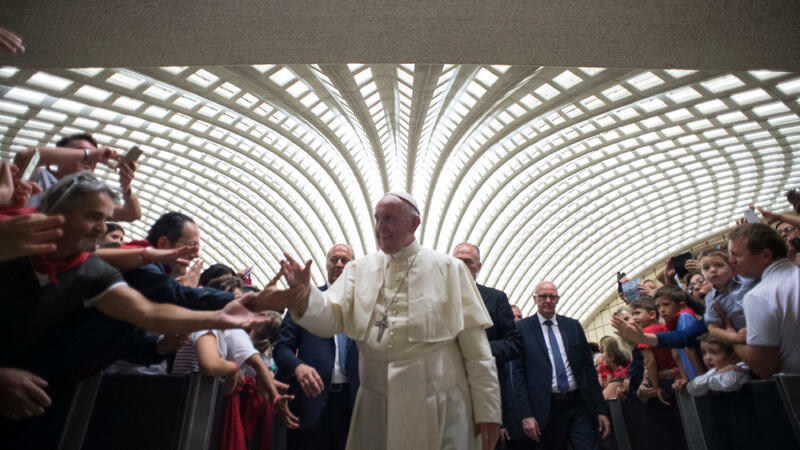 The theme of their meeting–focused on the need to build bridges, not walls–Francis said is one which he has had at heart and to which he often calls attention. With regard to the question of how theological ethics can make its own specific contribution, I find insightful your proposal to create a network between persons on the various continents who, with different modalities and expressions, can devote themselves to ethical reflection in a theological key in an effort to find therein new and effective resources. With such resources, suitable analyses can be carried out, but more importantly, energies can be mobilized for a praxis that is compassionate and attentive to tragic human situations, and concerned with accompanying them with merciful care. To create such a network, it is urgent first to build bridges among yourselves, to share ideas and programmes, and to develop forms of closeness. Pope Francis encouraged men and women working in the field of theological ethics, to be passionate for such dialogue and networking. This approach, he noted, can inspire analyses that will be all the more insightful and attentive to the complexity of human reality. Pope Francis concluded, imparting his Apostolic Blessing and ask those present to pray for him.